1. 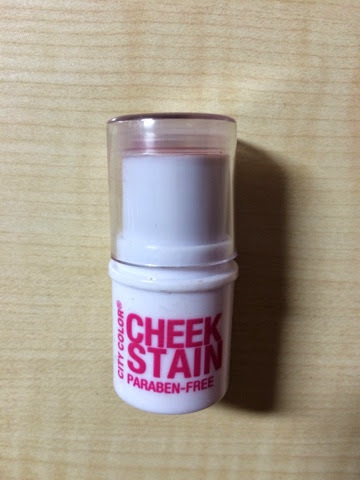 City Color cheek stain -Berry (full size: Rs. 300/-) : It is a US based brand which has launched itself in India through Fab Bag. 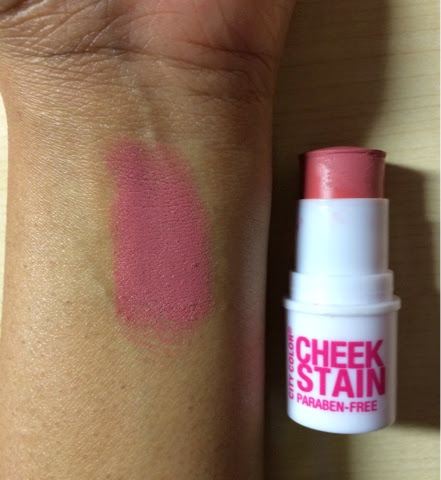 The cheek stain is by far one of the most liked product in both the subscriptions. They have 5 really beautiful colors available Berry, Coral, Mauve, Pink, Rose and I am really tempted to try all of them. 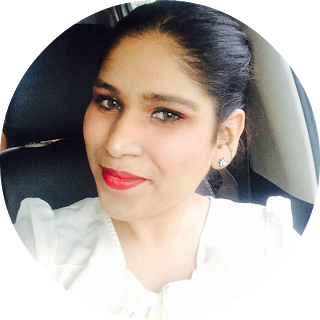 Nonetheless, the Berry color that I received did suit me perfectly and I feel will generally compliment Indian skin tone very well. The color is very pigmented and this little cream blush will last you a life time. Oh! almost forgot the best part, its paraben-free. 2. 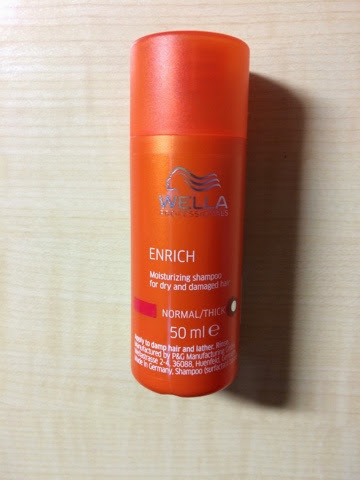 Wella Enrich Shampoo (full size: Rs. 500/-) : It is a very hydrating shampoo. It does make your hair really soft. This particular one is for normal or thick hair, it seems there is one for dry and damaged hair which would be perfect for me especially in this climate. Even if this is not for dry or damaged hair I still did love it. I tried it after using the Kama intensive treatment and it did not take a lot of product to get rid of the oil so its a good cleanser. I used it on its own and really din't make much of a difference as it still made my hair soft and smooth. I am totally in love with the smell, strong and fruity would be the perfect words to describe it. The bright orange packing is simply very attractive. 3. Kama Ayurveda Bringadi intensive hair treatment (full size: Rs. 495/-) : It has the smell of a typical ayurvedic oil but doesn't bother much. More than the smell of an oil, I am bothered about the benefits it will yield me. It has the goodness of Bringadi in it and that adds as a cherry on top. I hardly used 1/4th of the oil bottle we got in the bag and that was just more than enough for my entire hair, it made my hair oily but not greasy. It seems light on the hair and gets rinsed off easily. 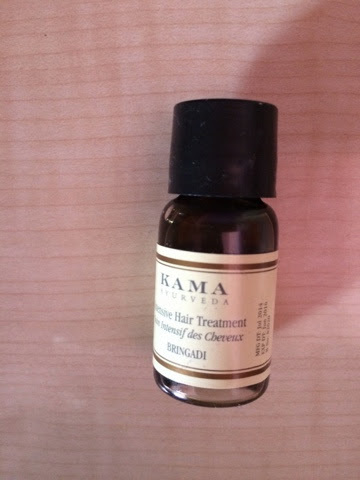 Since I have damaged hair, the words ayurvedic intensive treatment oil sounds like music to my ears. As specified earlier, I used it with the Wella shampoo and after the wash my hair felt really smooth and soft. So thumbs up! 4. 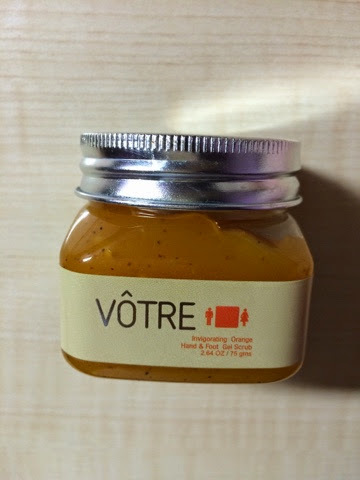 Votre Invigorating orange hand and foot gel scrub (full size: Rs. 550/-) : This foot and hand scrub is a delight. 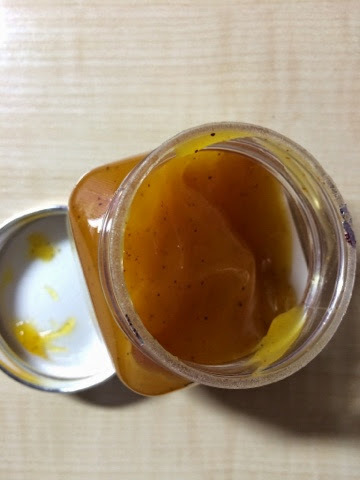 It is in a thick creamy gelish scrub and as guessed from the name it had a tangy orange scent. The granules present are a bit tougher, which is better as we have a tougher layer of skin on our hands and feet. It really does exfoliate well but not too harsh at the same time. 5. 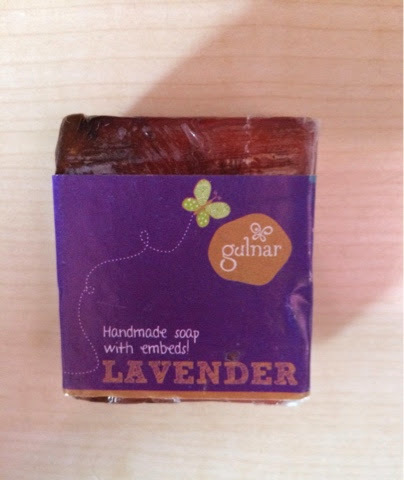 Gulnar Handmade soap -Lavender (full size: 250/-) : I love the strong floral smell which makes it the best part about it. A natural product would have a less fragrant side to it than a chemically processed one, so in that range the fragrance it offers me I am quiet happy with it. It is not a cent percent natural but has some glycerin in it making it negligible. There are little lavender petals in it which make it seem very adorable. Other really positive aspects of this product is that its handmade and cruelty free. Gulnar Handmade soap -Lavender A before use picture. 6. 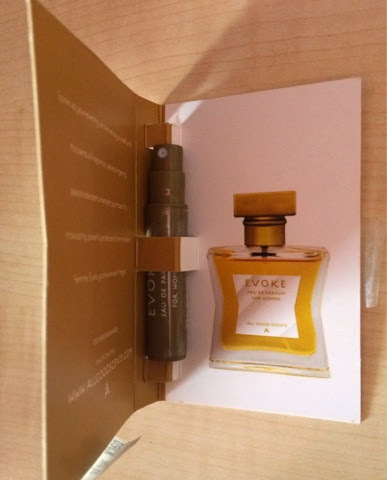 All Good Scents Eu De Parfum -Evoke (full size: Rs.1200/-) : I do not consider perfume vails as samples and I am glad FBag doesn't either since it was not added as the core product in the November edition Bag. I cherish that it is very strong scented but at the same time very feminine so could be worn as a day or night time perfume. 1. 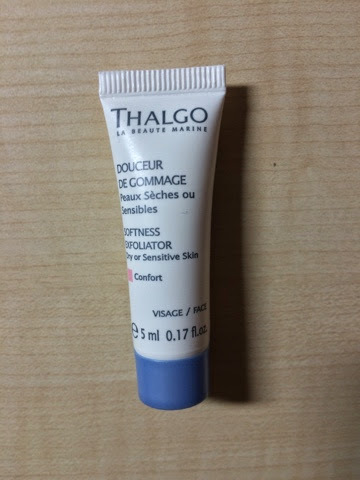 Thalgo Exfoliator (full size: Rs. 1770/-) : It is a very gentle exfoliator by nature but does the necessary job of exfoliating. It has a faint mint oriented refreshing smell like any other exfoliator or face wash. In the September edition, we got the Thalgo cryodetox face mask which claimed to be rejuvenating however, I felt this was better than that mask as this exfoliator gave me more of an energized and rejuvenated feeling. I maybe wrong in making the previous statement but honestly it was a 5ml tube and lasted me just two uses so no clue. All in all its nice but I would not buy the full size cause I am just plain confused in the two uses I got out of it. 2. Bottega Di Lungavita (full size: Rs. 1450/-) : This light textured moisturizing cream gets easily absorbed in the skin saving a lot of your time to get ready in the mornings. 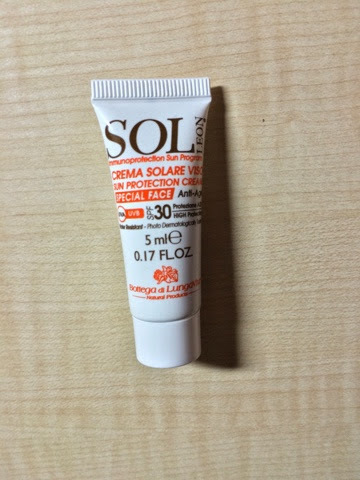 It is really smooth and doesn't make your skin feel greasy unlike the other sun protection creams I have come across. It has a special face anti age formula which works wonders on the skin. This SPF 30 cream has a faint moisturizer smell which is not at all bothersome. 3. 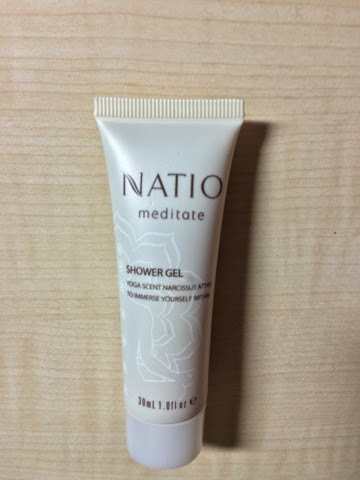 Natio Meditate shower gel (full size: Rs. 775/-) : The Natio Mediate shower gel contains Nascissus Attar in it which makes it quiet unique. It doesn't lather up that well as compared to any Victoria's Secret or Bath and Body Works shower gel. It gives you a very calm feeling because of the Narcissus scent in it but I am a girl who likes strong scented fruity shower gels so it received a No Thankyou Sir from my end. 4. 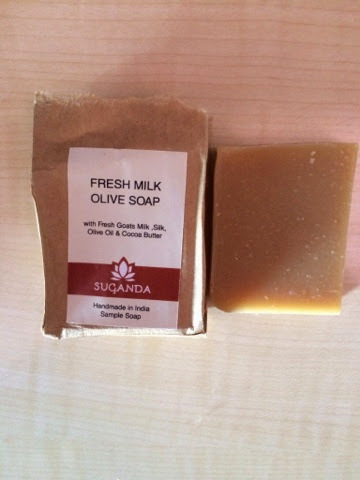 Suganda soap Fresh Milk Olive soap (full size: Rs. 800/-) : Overpriced is the only word that comes to my mind when I think about this product. If I do consider the Gulnar soap for this comparison it has all the attributes as the Suganda soap, its hand made, cruelty free except the fact that Suganda is SLS and paraben free. I am totally shocked as to why such as huge difference in terms of price between the two considering that it is a newbie brand. I got the Fresh milk and Olive option and must say it is very moisturizing but darn too expensive for a soap and its not even pretty or smells nice. You can call me stuck up if you want but I honestly wouldn't mind spending on a shower cream or shower gel but no way I would spend that much on a soap. 5. 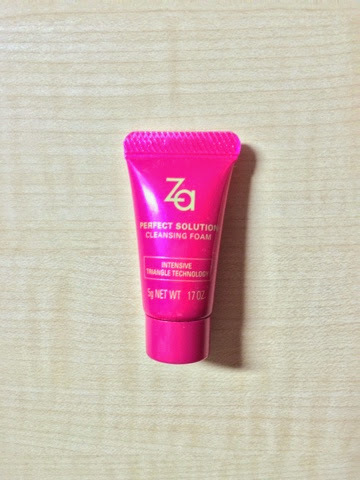 Za perfect solution cleansing foam (full size: Rs. 399/-) : It is one of my favorites in the face wash department, after the Just Herbs Silksplash- Neem and Orange Rehydrant off course. It lathers up really well and gives you a rich creamy foam, a pea sized amount of product suffices. It makes your skin feel very moisturized and hydrated after the wash. I would say it is more of a winter use face wash.
6. 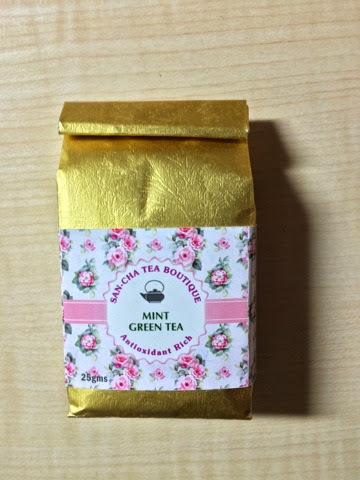 Mint Green Tea from San-cha Tea Boutique (complementary): As it was a complimentary item I would like to not be ungrateful by commenting about it. Would rather end the discussion with a mere thank you. 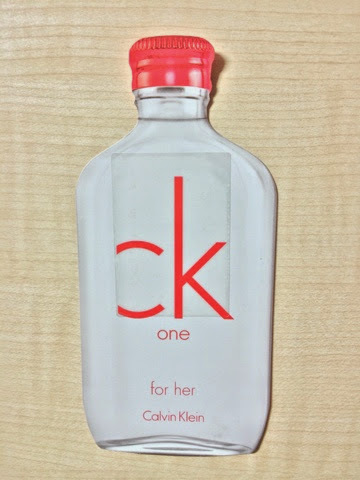 For your Information I am well aware I did not include the MyEnvyBox CK One perfume sample but that sample is a pure joke and would not be counted as even a mini sample so no comments about it. You really need to see it to believe why I have no comments about it. Final verdict: Now to get to the important part. 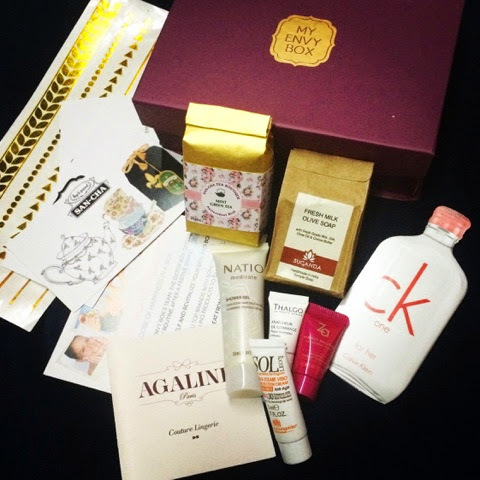 The products received in both the subscription were good in their own ways. FaB Bag however focused on various aspects like skincare, haircare and makeup. On the other hand Envy Box did focus only on the skincare aspect which was a little off putting. Among all the products that I used, liked and will consider repurchasing would be the Wella Shampoo, Kama Bringadi oil, City Color cheek stain and Za cleansing foam. So that brings us to the fact that there is a 3:1 ratio in terms of likable products between Fab Bag and Envy box. I know this has become one of those Birchbox vs Ipsy comparisons where Ipsy always wins. I can't help it though; buck up MyEnvyBox no varied variety of products, tiny samples, no attractive theme based boxes BooHoo!!! So the final verdict is in favor of the Fab Bag offcourse. I love the look and feel of the page, goes aptly with the name. I wish I had the power up fab bag. I really like the products in there. P.S. 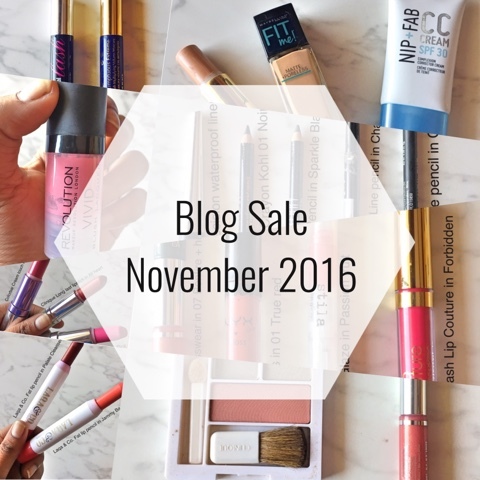 I love the November Fab Bag! I wish I would have subscribed then. Nice review. I also am a fan of fab bag than my envy box.